WARNING: The views expressed in this blog post, may be controversial. A Pacifist Celebrating Those Who Fight in Wars? As an Anabaptist, I am a pacifist. Pacifism is defined differently by many people. In the past year or so, I’ve struggled with defining exactly what it means for me. The World English Dictionary defines pacifism as “the belief that violence of any kind is unjustifiable and that one should not participate in war.” I don’t agree with war of any kind. I never have. So it leaves me in a little bit of a predicament in celebrating a day celebrated here in Canada called “Remembrance Day.” This day is celebrated every year on November 11th. 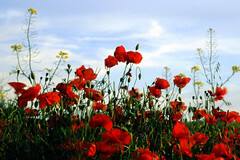 It is a day where we are supposed to remember those who have fought in wars. As someone who doesn’t support war, I don’t know what to do with this day. When I’ve started talking about not knowing what to do with Remembrance Day with my brothers, they make the comment that war is the reason we’re a free country. But I’ve started wondering, are we really “free?” And what do we gain from this so-called freedom? A little over a week ago, my aunt passed away from her fourth bout of cancer and it has caused me once again to think of life in view of eternity. I feel like this “freedom” we are supposed to have is more just freedom to be more immoral. We aren’t really free from the threat of being bombed. We do seem to be free to flaunt our sexuality, though, with what sells and what is rampant in Hollywood and the entertainment industry. In the past while, I’ve really doubted that we are free to believe what we want. One specific example is in regards to homosexuality. I don’t agree with homosexuality and I feel like I’m not allowed to have that opinion. Someone will probably call me homophobic just because I think homosexuality is a sin even though I’m not scared of it. Am I “free” to have this opinion? It depends on what your definition of “free” is. In some ways, I think North America is worse off in view of eternity than a lot of other countries. In some countries that aren’t considered “free” according to North American standards, true Christianity is rising while true Christianity is declining rapidly in North America. During the Reformation, the Protestants split from the Catholics, which a lot of people know if they’ve heard about the Reformation. However, fewer people know about the Anabaptists who also rose up during this time. They initially were with the Protestants but felt the Protestants didn’t go far enough in their reformation of Christianity and split from them and became their own faction. 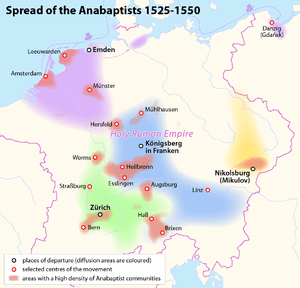 The Anabaptists were persecuted because they opposed the church which was together with the state. They were tortured, drowned, burned at the stake, had their tongues ripped out, etc. Despite all this persecution, they never resisted or fought back with violence. The church and state tried to snuff out the Anabaptist belief but they didn’t succeed and the persecution fueled the spread of it. These Anabaptists are my forefathers and my ancestors. They endured a lot for what they believed and play a huge part in me believing what I do today. They have influenced my life immensely even though this happened over 400 years ago. This Remembrance Day, I plan to remember these forefathers that suffered for their faith and have played a huge part in my faith. Sports fans are passionate about their teams and people around them don’t understand this passion and devotion to the sports and teams they love. They make common errors when around sports fans because of this lack of understanding. 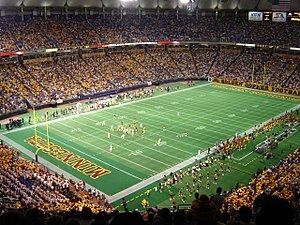 As a sports fan myself, I am here to bring a little insight into how to act around true sports fans for those who live among them. Life would be much easier for friends and family members of a sports fan if they would follow the following rules. If you are watching a sports game with a sports fan, wait until the commercial breaks to talk to them. They want to watch the game and if you are trying to talk to them during the game, they will either ignore you or be really frustrated with you. It doesn’t make for a happy relationship. By trying to talk to them while the game is going on, one or both of you will be frustrated with the other. The same goes for having conversations with others in the same room as the sports fan who is trying to watch their team play. Don’t do this if you want the volume to remain at a relatively reasonable decibel level. 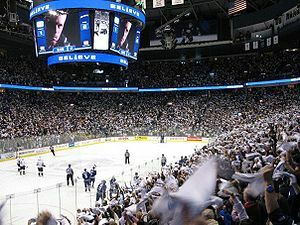 Speaking from personal experience, when I am watched the game, I not only want to watch it but I also want to hear it. If you are talking while I’m trying to watch, I will turn up the volume to a level that I can focus more on the game than on your conversation. Also, don’t call them while their team is playing. This one is similar to the rule above. They will either ignore you and you won’t get a hold of them or they will be very frustrated with you. For this rule, however, there is no break period in which it is safe to call them. You either have to call them before the game, and well before the game to make sure your call is done by the time the games starts, or wait until after the game. Be aware of rule number five if you’re planning to call them after the game, though. There are also sports fans who want to watch the pregame so keep in mind when their team plays as well as what time the pregame starts. Don’t ask them to do something at the exact time their team plays, especially if it is an important game, such as a playoff game. Your view of an important game may be different than theirs. 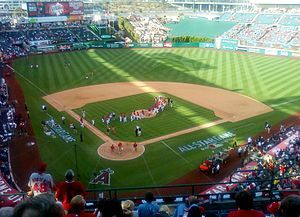 A game in which their team plays against a rival will be considered an important game. Be aware of which games they would consider important, or keep it safe and don’t ask them to do anything with you when their team plays, regardless of what time in the season or who they play. If you ask them to do something with you when their team plays, you are asking them to choose between their team and you, which may not end out that great for either one of you. Sports fan invest a lot in their teams and become personally attached to them so don’t talk negatively about their teams unless you want to start a fight.. If you do this consistently, your relationship with them may be irreparable. a true sports fan will take it personally if you talk negatively about their team and will lash out at you or their anger will simmer within them. So don’t talk negatively about their team. Just don’t. But if you do, be prepared for the backlash. The fifth and final rule of this list, is to allow them time to cool off after a loss. As they are personally attached to their team, if their team loses, they lose. Most likely, there were many things that happened in the game that made them frustrated and agitated. They may have been screaming at the television or biting their nails in the dying seconds of the game. They will need time to recuperate from the stress and frustrations that occurred during the game and linger once the game is done. If their team had won, the stress and frustrations would be overshadowed by the joy from the win but with a loss, the frustrations are compounded. They will be too agitated to talk about whatever you want to talk to them about and they will snap at you. The length of time they need to cool off will be different for every sports fan but I would recommend giving them around an hour after a loss to lick their wounds. It may seem like trying to live with sports fans is like walking in a mind field, waiting for them to blow up because of something you say or do. Life with sports fans doesn’t have to be this way. It commonly comes down to them wanting to watch the game and being invested in what happens with the team. Allow them to focus on the game when their team plays without trying to divide their loyalties. Remember they are personally invested in their team and what you say about their team, they will take personally. Follow these five rules and the sports fan in your life will be grateful and will feel better about keeping you around.